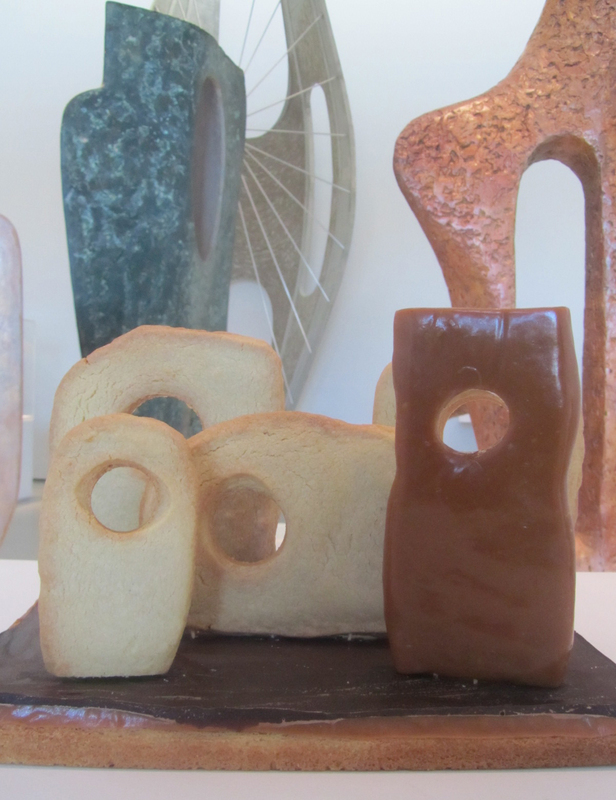 My Barbara Hepworth Shortbread Sculptures were created for the Hepworth Wakefield Gallery and today to mark the beginning of Tate Britains exhibition ‘Sculptures for a Modern World’. It will be the first major Barbara Hepworth exhibition in London for almost 50 years and will feature some rarely seen work together with Hepworths more iconic abstract sculptures. The wood, stone and bronze materials Hepworth used to carve her creations inspired my own culinary ones. Shortbread, toffee and chocolate provided me with the medium to mould and cut out my millionaire shortbread from. 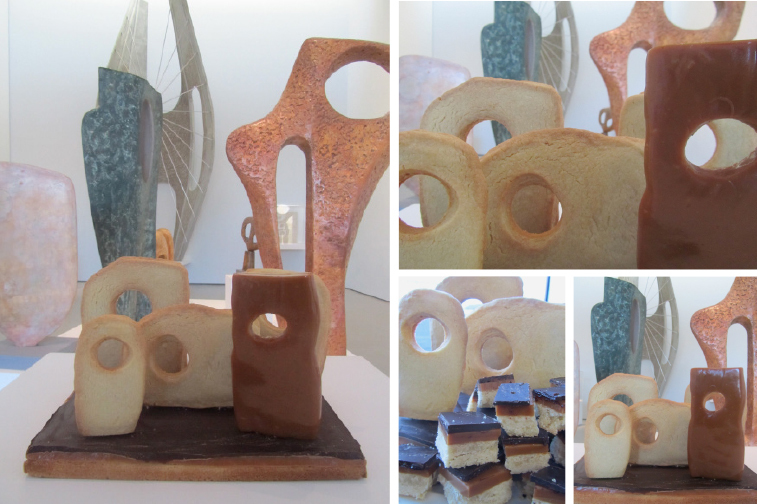 As well as choosing the bake for its qualities to design and carve from, the edible creation was made to celebrate the Hepworth Wakefields Gallery 1 millionth visitor. Using shortbread as stone, caramel in the guise of bronze and dark chocolate to resemble mahogany wood, I had all the edible materials I needed. Ready to be carved out and consumed. From sculptures for a modern world to shortbread, I’d like to think Barbara had an affection for both.